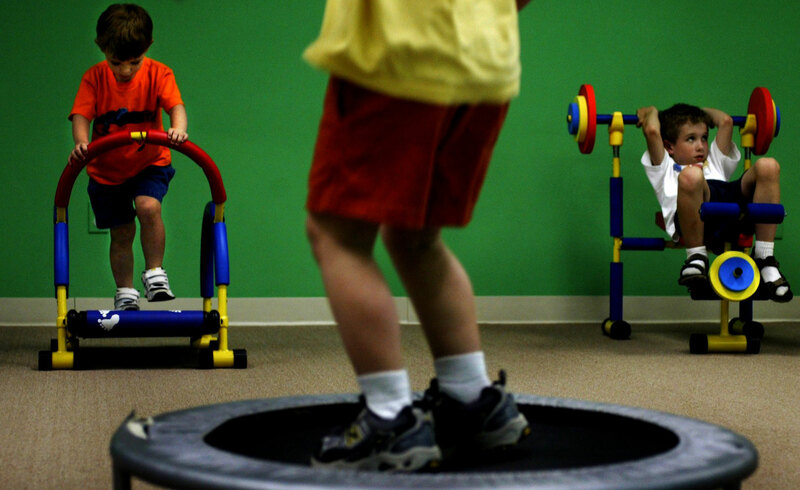 Kids N' Motion, a fitness center for kids in Chesterfield, uses child-size version of exercise machines as educational tool. " It's an introduction to what piece of equipment is and how it works. They know what is a treadmill and how to use it ," says owner Erica Furrer, who teaches kids like students (left to right), Drew, 3, and Peter Ahlering, 6, of Town and County.